Through your support, we have been able to increase both the quantity and quality of the food we provide, and in a significant strategic change, expanded our services to programs beyond food in order to help families toward overall self-sufficiency. Whether you make a donation, organize a food drive, or attend an event, realize that your kindness will make a difference in the lives of our neighbors in need. The foundation built over the years has positioned us to move forward with stronger purpose and greater impact. Simply said, our vision is to end hunger and transform lives. We look forward to partnering with you! Food donations are accepted at the Loaves & Fishes location (1871 High Grove Lane, Naperville, IL 60540) during all regular business hours. Volunteers will be available to help unload your vehicle. Please make an appointment if you plan to drop off food outside of open hours. PLEASE do not leave perishable food items in food collection bins without notifying an attendant. The bags and items inside can be generic or oriented towards a boy or girl. Each bag should include plates, napkins, cups, and candles. Optional items can include party favors, balloons, etc. Donate an unwanted vehicle and help transform a life. Loaves & Fishes will first try to repair your car and give it to a working family in need, or sell it and use the funds to repair other donated cars. We accept all types of vehicles – any condition, running or not. There is no cost to you for removal of vehicle. A car donation to Loaves & Fishes is a qualified donation to a 501 (c) 3 under the US tax law. Please consult your tax advisor regarding your donation. To donate your car contact: Loaves & Fishes at 630.355.3663 or CARESprograms@loaves-fishes.org. Donate every month, make a difference every day! Loaves & Fishes is currently serving more than 800 families a week in our food market. 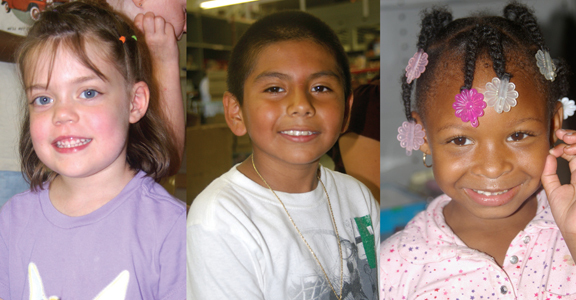 A monthly recurring donation will help to provide for these families each and every month. This will also help you spread your financial impact across the entire year; it helps us know how to plan and you as well. The process is simple, click the donate button and choose Monthly Recurring Donation. You may cancel or suspend your giving at any time. The good you do for yourself dies with you. The good you do for your community lives forever. We are grateful for the tremendous support of our partners. Collaboration is the foundation of our organization – by working together we can accomplish great things! Loaves & Fishes also partners with other community organizations to serve those in need.